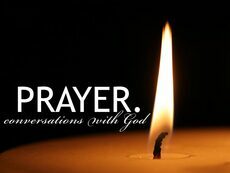 The Prayer Ministry at Winterville UMC strives to affirm everyone's ability and style of prayer to our Lord Jesus Christ. The Prayer Ministry upholds the highest possible integrity of handling prayer requests and offering prayer support to our other ministries. "How to Pray" may help guide you in your prayers. Should anyone need to be added or removed, please call Kristy.